It is not uncommon for masculine power to be equated with the culture of patriarchy. Could depotentiation of the masculine be the answer to social, political, and sexual injustice? Or is patriarchy itself—along with sexual violence, torture, and political oppression—an expression of puer psychology and the acting out of the immature, fragmenting masculine? 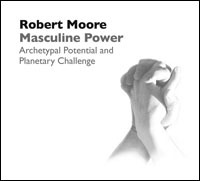 These and other issues relating to masculine power will be examined in this lecture from a Jungian perspective.